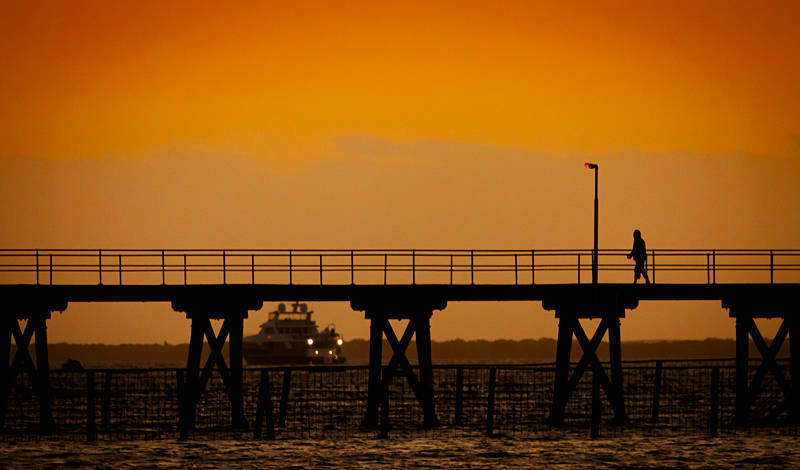 This is a silhouette of the Pier at Streaky Bay in South Australia. I have spent most of last week going over all the old posts in this blog. I have been adding tags and links to make the site easier to navigate. Travel and Stock Photography can encompass just about everything so it has been interesting to discover what the more common subjects have been. Here are a few of the more common tags at the moment. 81 of Australia, 73 of UK, 67 of Water, 56 of Buildings, 45 of Trees, 44 of Transport, 43 of Cities, 42 of Night, 36 of Augmented Reality and 35 for Red, Blue, Sky and Sand. Beautiful orange tones and silhouetting here. Great shot. Great color, this orange, and i love the backlit & silhouette. Thanks for your visit. great site…and a great combination of colour and striking silhouette. Gorgeous scenery, nice colors of sky, great composition, excellent shot ! Nice composition, and great use of color and light. A beautiful composition with wonderful colours ! Wow! This is such an amazing shot! I just love the colour and silhouettes. lovely symmetrical compo and gorgeous colours and contrasts ! A gorgeous backlit scene both in color and in compo. Superbe compo quel ciel et iamge quelle couleur avec ce pont et personnage sueprbe. La lumière est délicieuse et le contre-jour dessine de très agréables ombres chinoises. J’aime beaucoup. Very beautiful colors in the sky, the pier as a beautiful silhoutte makes for a nice decor. Nice shot. beautiful colors and silhouettes, jason!! Fantastic colors. Like the silhouettes. Thanks for all the comments, I was aiming for a caramel colour in the sky during processing. Gorgeous photo and tones. Nice backlight too.